In any given year, sales can be a roller coaster of exhilarating highs and crushing lows. But lately it seems as though the ride is getting more thrilling—and stressful—by the minute. Technology is giving us (and our customers…and our competitors) access to more information than we sometimes even know how to manage. Decision-making is more complex and often involves more people—but just as often needs to happen at a faster pace. And through it all, relentless marketplace volatility is threatening deals and making it harder than ever to plan, forecast and shift attention in the moment, even as those activities become more critical to ensuring sales teams hit their numbers. Learn fast and keep learning: To get people ramped up and selling, we need them to be fast learners. But learning is no longer a one-and-done proposition. In a volatile environment that will continue to throw new variables and challenges their way, salespeople have to be willing and prepared to keep learning and growing, to adopt the growth mindset of a lifelong learner. Personalize the sales approach in a more meaningful way: Time and attention are tight, and the marketplace has never been noisier. To stand out and provide real value, salespeople have to quickly figure out what their customers care about, how they make decisions, how they prefer to be communicated with, and how to present information in a way that respects those preferences—and doesn’t waste anyone’s time. Adapt, shift, flex, repeat. Agility is now a must-have competency. Sales professionals need to be comfortable shifting strategies on a dime, processing last-minute information, and responding to unconventional ideas in a way that meets everyone’s objectives, both inside and outside the organization. In light of all this, it’s not surprising that companies overall are spending $20 billion annually on sales training, according to ATD. But even as budgets increase, ATD has found that companies are having a hard time showing ROI from those efforts. Sales training and coaching programs are often designed to address many of the issues outlined above, typically by focusing on behavior—changing behavior on the part of the salesperson and looking at the behavioral patterns of potential buyers. This can certainly be helpful in creating comfort, building relationships and helping a salesperson manage a conversation. But there’s a critical missing ingredient here. Behavioral approaches don’t reflect the mental processes that actually drive the sales activities or the purchasing decision. Put simply, buying decisions are rooted in thinking, not behaviors. Add to this the mental energy required to succeed in a world that demands continual learning, growth and agility, and it becomes clear that behaviors only scratch the surface of the issue. Too many sales leaders are wasting time and risking revenue—not to mention doing a disservice to their salespeople and to the customers their organizations serve—because they’re not paying attention to the thinking that produces results. On the other hand, when you understand how both the salesperson and the customer think, it can make all the difference. That’s because a person’s thinking preferences affect how they process information, how they buy and sell, what they pay most attention to, and how they want to interact with you. Widen the lens and you’ll see that not only do thinking preferences affect the salesperson-customer relationship, they influence performance and coaching discussions, how engaged people are with the sales systems and processes you’ve put in place, what motivates different people, and how they react under pressure and stress. They’re the driving force behind everything we do. Assess and Apply: Giving you and your salespeople a clearer understanding of how they prefer to think is the first step. With this information in hand, you can better align processes, systems, coaching and development opportunities to help people take advantage of their thinking strengths, adapt to others’ preferences, and apply their thinking more productively in any situation. Focus on Customer Thinking, Not Just Behaviors: Highly personalized approaches are critical to successful sales today, but time and attention are at a premium. Salespeople who are skilled at diagnosing how their customers think are more efficient prospectors, planners, presenters and closers. They also have the thinking agility to adapt to changing demands, work complex deals and find untapped opportunities. Be Mindful About Thinking: Anything that interferes with your salespeople’s ability to think on their feet will have a direct, negative impact on their results, which is why many end up in a vicious cycle of stress. While salespeople can’t avoid stress entirely, you can give them a few easy-to-apply tools and strategies they can apply to better manage where their thinking goes when pressure mounts. 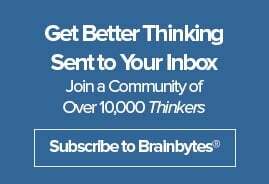 The thrilling twists and turns that are a fact of life in today’s environment mean many external factors are going to be impacting people’s behavior; thinking is what’s constant. Bottom line: If you focus only on behavior and not the thinking that drives it, the results are only going to be temporary at best. Ready to turn what you've learned today into tangible results for your sales team? 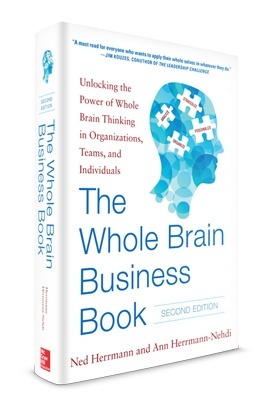 Click the button below to learn why Whole Brain® Thinking and sales are the perfect pair.